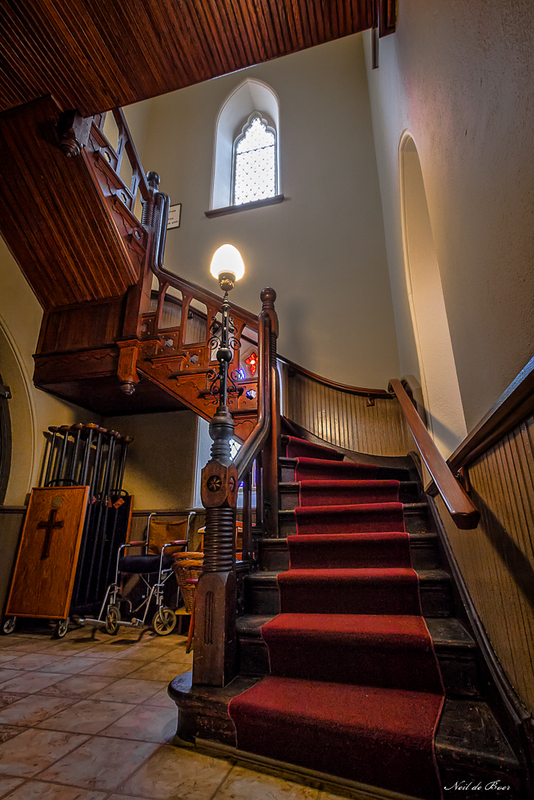 This is a shot of the stairs going up to the balcony where I took the shot of the sanctuary in my previous post. I love the lines and curves of this staircase! 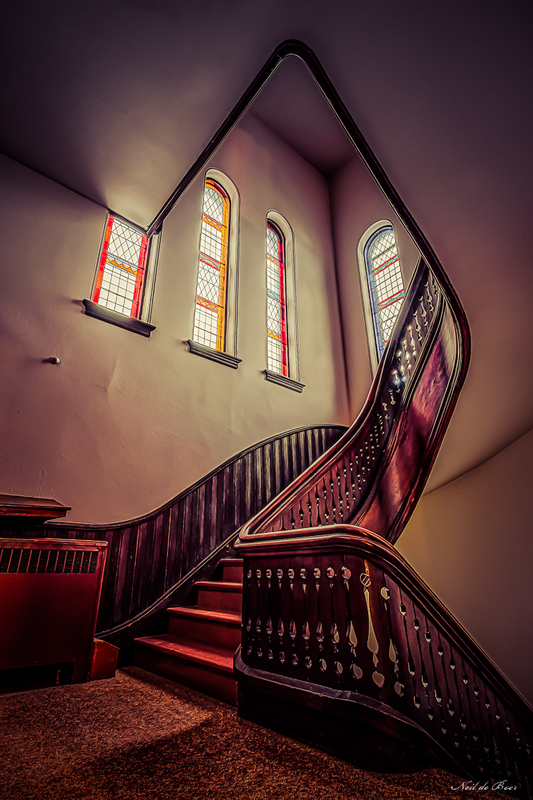 Location: Dundas St. United Church – Woodstock Ontario. Today we attended the funeral of my wife’s Aunt. It was a beautiful service in a beautiful old church. Before we left I took a few moments to take this picture of the sanctuary from the balcony. 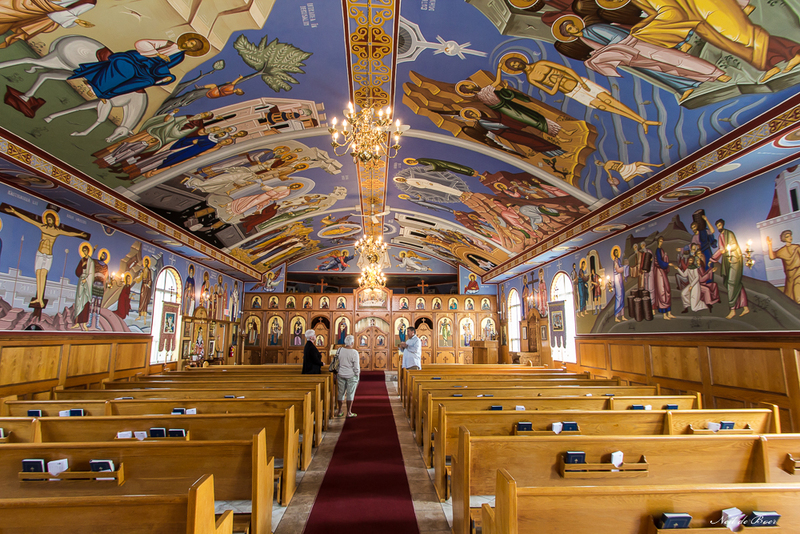 Another Church we visited during the Doors Open Waterloo Region tour was St. John the Baptist Romanian Orthodox Church on Bleams Rd. The paintings were wonderful! 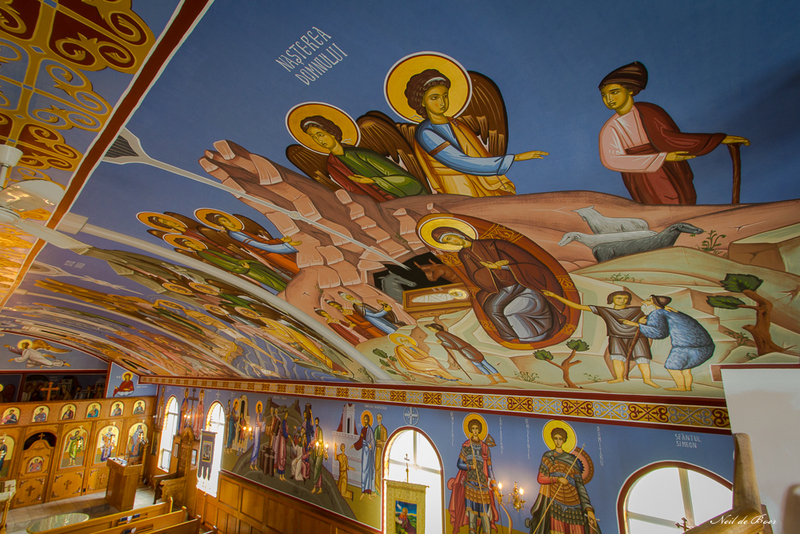 Serving the several thousand people of the Kitchener-Waterloo-Cambridge and Guelph Romanian Orthodox community, the church was designed in the form of an ark, and in 2011 nearly every inch of the walls and ceiling were decorated with magnificent, traditional, hand-painted frescoes and icons, telling the story of Christ in images. 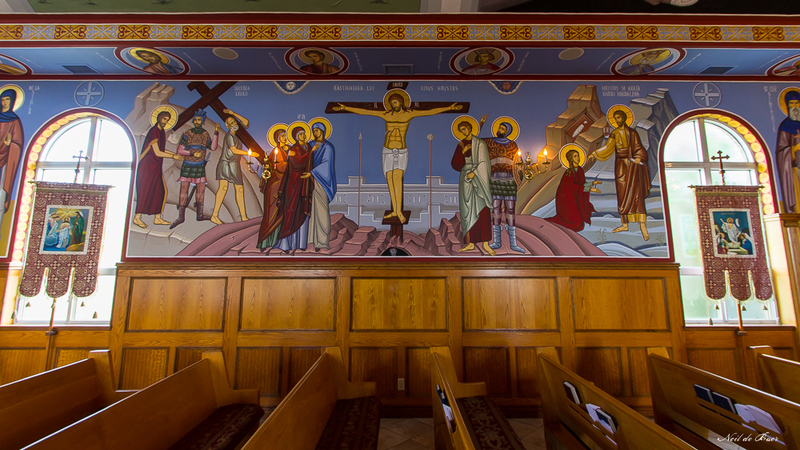 The iconostasis wall is adorned with icons and vigil lamps. Another Doors Open Waterloo Region has come and gone and this year had no lack of interesting sites to visit. 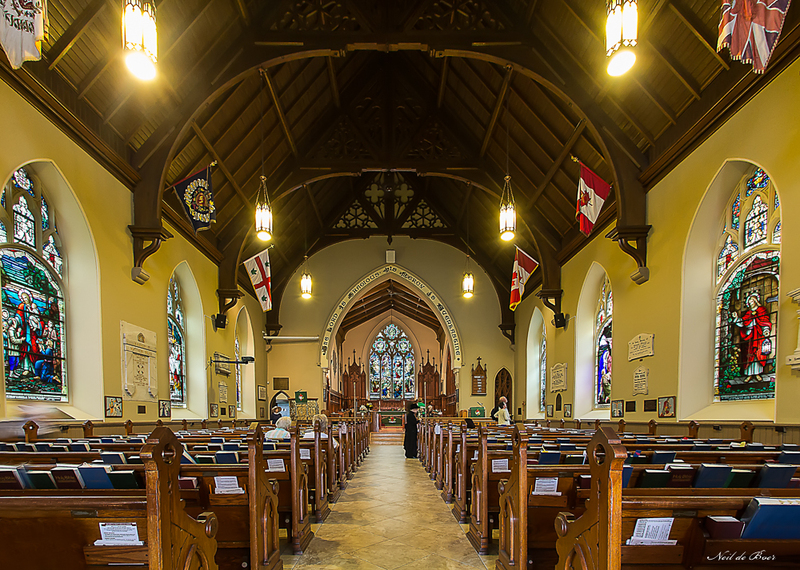 One of our first stops was Trinity Anglican on Blair Rd. in Cambridge. Here is the description from the Doors Open Web site. 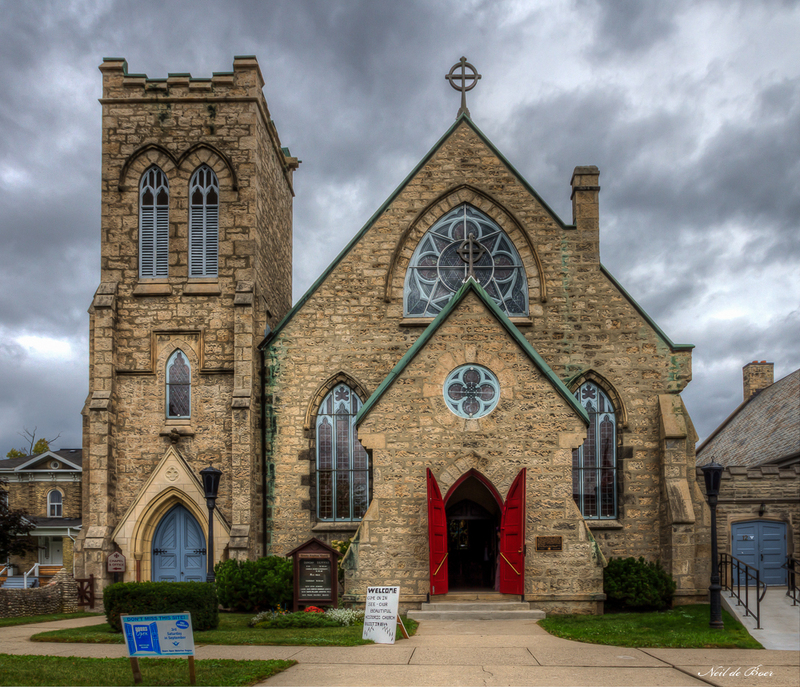 Trinity Anglican is the oldest church building in Galt (Cambridge), set in a traditional churchyard surrounded by a cobblestone fence with a 1909 lych gate. Trinity’s striking, exposed-timber nave roof has ornately decorated trusses. Other highlights include beautiful stained-glass windows, an 1845 bell, an abundance of carved woodwork by Waterloo’s Globe Furniture Company, and other vintage wood trim. 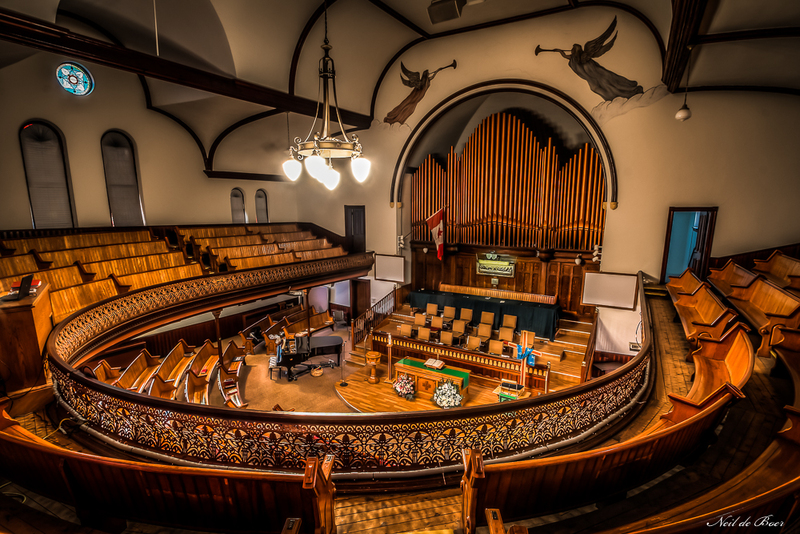 This is St. Andrews Presbyterian Church in Lindsay Ontario. 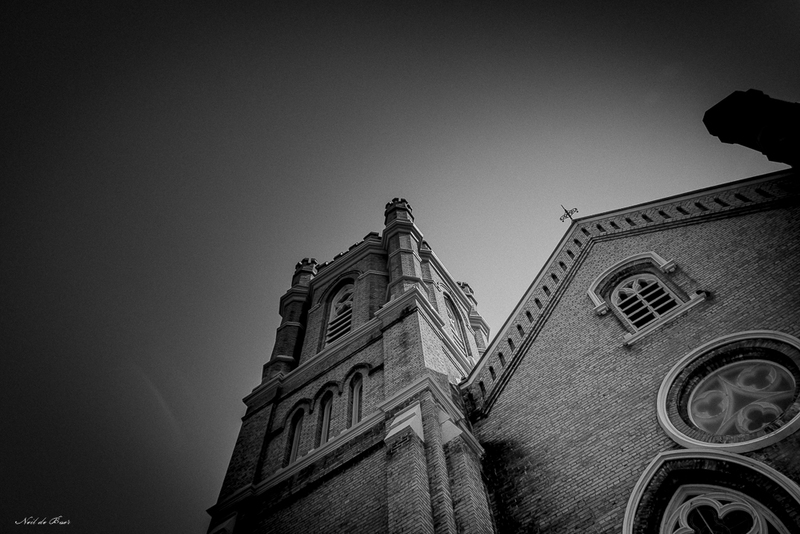 I love the architecture of these old churches. 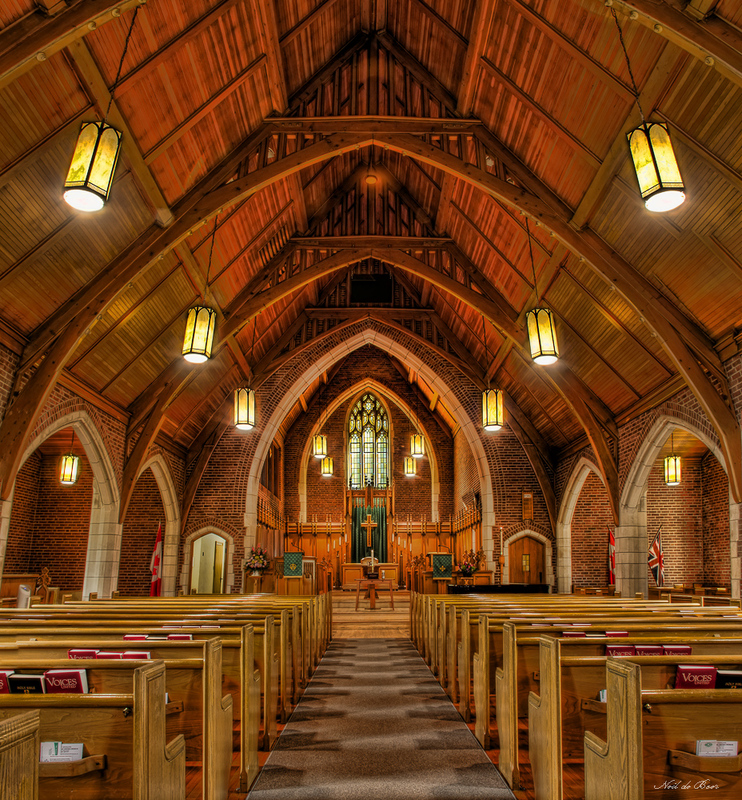 The Royal York Road United Church in Toronto has a beautiful Sanctuary with blend of wood, brick and stone. We attended a memorial service here for my wife’s Aunt. It was a beautiful service in a beautiful church. 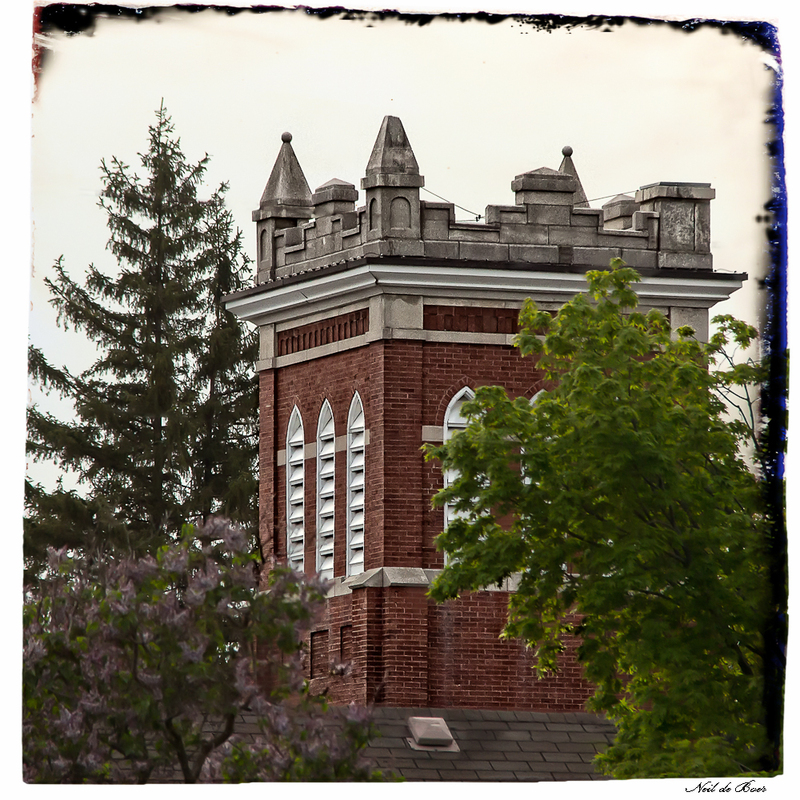 As we walked around St. Jacobs (Ontario) the other day my wife says, “Look at the steeple of our old church. Take a picture.” Sometimes I don’t see the picture that she see’s but I took the shot anyway. I started playing with some post processing on it tonight and I think it turned out to be an interesting shot. So as usual I will say – You are right Elizabeth! Processed in Lightroom, Photoshop and OnOne Perfect Effects.